Simple living. Sustainability. Living off the grid. Practices and ideals that could bring about an enriching life and possibly freedom for many people—as well as concepts that have become more prevalent in recent years. But the above-mentioned buzzwords aren’t endemic to the West. 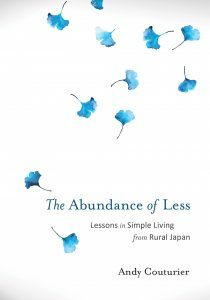 Thanks to Andy Couturier, the stories of Japanese living the most sustainable lives they can outside of the mainstream is documented in The Abundance of Less: Lessons in Simple Living from Rural Japan. Couturier, a former English teacher and staff writer for the Japan Times, originally profiled ten Japanese living “a very principled way of life” that didn’t feed the capitalist machine for his 2010 book A Different Kind of Luxury. Spurred on by a surge in environmental activism following the nuclear meltdown in Fukushima, the author provides updates on each of the people he profiled in his original book (unfortunately, two of them have since passed away). The people providing the “lessons” are (or have been), among other things, an anarchist; a writer/filmmaker inspired by the hippie counterculture; and a painter. Couturier was introduced to several of the ten people he wrote about by Atsuko and Gufu Watanabe, a couple he and his partner Cynthia met while teaching in Japan. Although the bookends of The Abundance of Less are dominated by his observations about life in Japan, a how-to guide for those wanting to follow in his footsteps (Couturier and his partner built their abode in California by themselves and applied many of the principles they learned in Japan) and his life story, the book largely focuses on the remarkable individuals he profiles. The Abundance of Less definitely feels like a collection of ten long magazine articles as the book really has no beginning, middle or end. It’s clear that Couturier has worked as a journalist because he knows how to get the most out of the interviewees and build a story. Although the book is not supposed to be a first-person narrative of Couturier’s travels throughout Japan, the author’s vivid anecdotes of his interactions with his subjects (such as his bumbling attempt to plant rice with a Buddhist flute player and his wife) very much give you a feeling of being present with him. Although The Abundance of Less is an appropriate title for the book (several of the subjects illustrated moments in their lives when they decided to adopt the mantra of simple living), maybe the updated version of the book should have been titled The Abundance of Adventure because the voyages many of the ten undertook (a lot of them took place outside of Japan) contributed enormously to shaping their lives. Gufu Watanabe served as a great example of adventure altering the course of a life—he traveled throughout India without a guidebook, relying on fellow travelers for advice. A compatriot happened to tell Watanabe about a rundown guesthouse in the Himalayas, which turned out to be a life-changing decision because he met his wife there. Well before the afterword, the author often includes thought-provoking fits of introspection about life following dialogue with his subjects. Certainly, deep conversations should lead to plenty of analysis and while it may not have been his goal, Couturier has certainly succeeding in creating an unbelievably thought-provoking book. Although the purpose of The Abundance of Less might be to extol the virtues of simple living, it emerges as an enriching journey into the world of many extraordinary people. 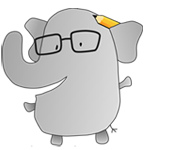 For more on The Abundance of Less, click here.